The Thai beauty industry is growing, and according to Mintel Market Sizes, Thailand’s colour cosmetics retail sector is estimated to grow at an 8% CAGR (compound annual growth rate) 2017-21. 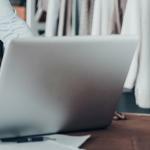 Local beauty companies are also increasing their innovation activity to cater to consumer demands. 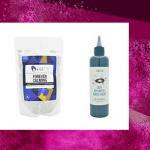 Here, we showcase 7 interesting beauty products launched in Thailand in the past year. 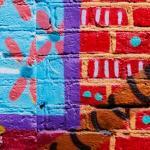 Anti-ageing benefits are not just for skincare products. 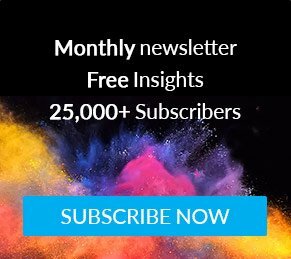 Thailand’s beauty industry has started using this claim in colour cosmetics. 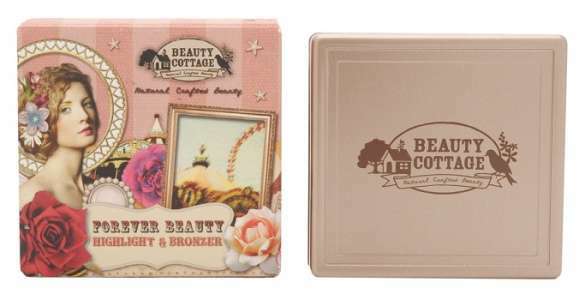 Beauty Cottage’s Forever Beauty Highlight & Bronzer has been formulated with vitamin E acetate to moisturise the skin and make it soft. It also features collagen extract which claims to reduce wrinkles and protect from UV rays. According to Mintel Global New Products Database (GNPD), Asia currently leads in anti-pollution beauty, with Thailand one of the notable innovators in this area. 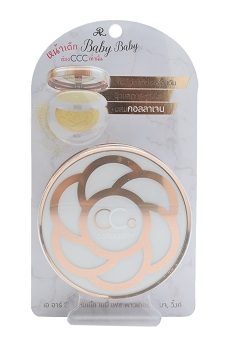 This face powder from AR CCC contains grape seed extract, and is said to help protect skin from pollution and premature ageing, leaving a baby-face-look and youthful skin. The product also offers a sunscreen protection to protect the skin from UVA and UVB. 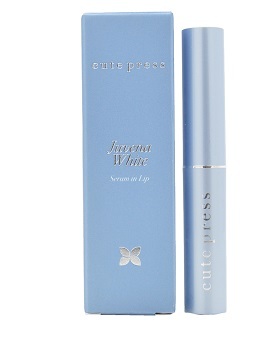 Described as the first ever ‘serum in lip’, this product from Cute Press Juvena White is a lip balm infused with ultra nourishing serum to protect the lips from darkening and reduce the appearance of deep wrinkles. It is also said to be enriched with peptide, collagen and an innovative 3D lip plumping ingredient that immediately fills in deep creasing, making the lips instantly fuller and plumper. The product also claims to feature vitamin C to protect the lips from darkening, and also hyaluronic acid, vitamin E and shea butter to provide 12-hour hydration. This product is designed to help save time when creating and styling eyebrows, delivering beautiful brows with an European-look in seconds. 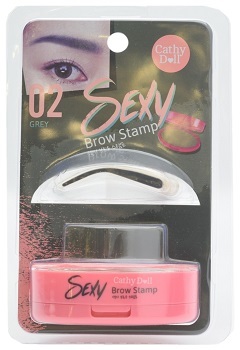 Also available in the range is Cutie Brow Stamp which is designed to help save time in creating and styling eyebrows delivering beautiful brows with a Korean look. This shower product is said to be tailored specially for elder skin. It is formulated with certified organic white lily, coconut oil and natural oil, and claims to protect damaged dull skin while leaving it feeling younger. This is described as a matte cushion that transforms into powder upon application, delivering a true matte and poreless finish. It is said to adjust skin tones and conceal dark spots and pores. It also claims to control sebum and leaves the skin with a smooth, radiant finish all day long. 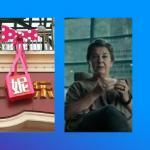 Brands in Thailand are trying their best to excite consumers with cute, innovative packaging formats to stand out from shelves. Some are throwing back memories by cobranding with cartoon characters. 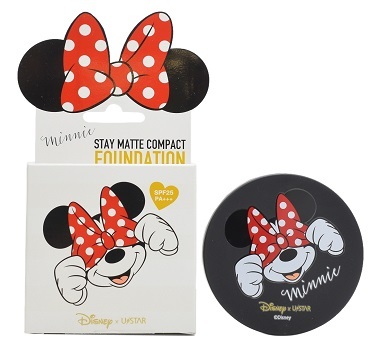 This Disney themed compact foundation is described as a fine powder with a soft and smooth texture. It is said to be designed to conceal black spots and an uneven skin tone for smooth, non-glossy, radiant and natural looking skin.